7. You cannot jump the queue. 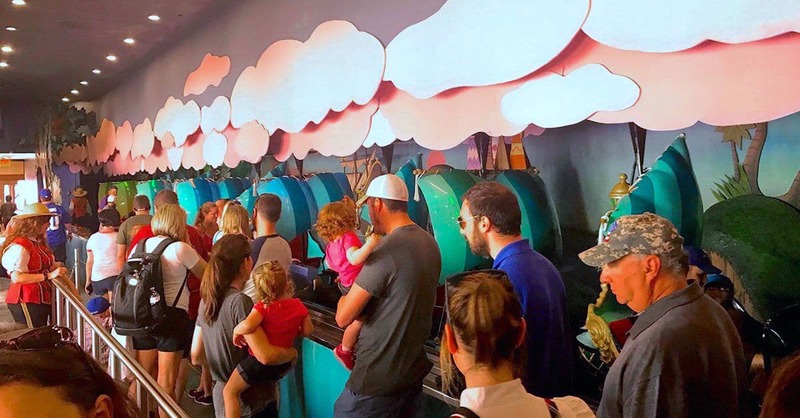 There are times when Disney World can become quite crowded, and if you don’t have a FastPass+ for a certain attraction, you will find yourself waiting in a queue for your turn to enjoy the attraction. Tensions can sometimes run high when there’s a lengthy wait for a ride. The wait combined with crowds, crying toddlers, the heat or the rain can lead to frustration for some Guests, and they may be tempted to “cut in front of someone.” There have been situations in which Guests have purposely stepped in front of someone who was already in line. This is jumping the queue, and it is absolutely prohibited at Disney World. Doing it can even get you removed from the park. Exercise self-control at all costs. Resist the temptation to jump the queue. Not only will you remain friends with fellow Guests in the queue, but you won’t be asked to leave the park. That’s motivation enough to stay put.